Ted Berrigan wrote a poem once called "People Who Died"--which you can read in his Collected Poems, and even hear him read via the PennSound link. Berrigan had at least two sides to his nature--one very weirdly insincere and playful, and one very emotional and occasionally sad. I was reminded of it yesterday when I received word that Anselm Hollo, who had been my first poet-instructor at the Iowa Writer's Workshop in 1969, had died yesterday morning in Colorado, surrounded by friends and family, following a long and exhausting illness. And again just now, when the spam-box of my email just received an advertisement for "Life Insurance." What a funny concept, when you think about it, life insurance. There isn't any such thing as life insurance; no one, nothing can insure you against death. We're all uninsurable! And yet the business stubbornly refuses to acknowledge the fact, playing off our fears and apprehensions about the consequences of mortality. 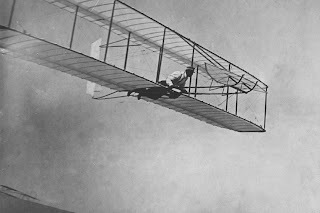 It's very important, apparently, to make elaborate and fail-safe plans against the possibility of dying messily, as if one of our most crucial responsibilities, in life, or most important tasks, for those who are left behind, was to relieve them of the problems, the loose ends, created by our departure. Since I began writing this blog, I've written about quite a few writers, many of whom are dead, some of whom died after I wrote about them. Several of the subject pieces were written on the occasion of their deaths. Growing up in a family of exiles, I was not raised to pay much attention to death, or to mark its occasion with much fanfare. My parents had both left the Midwest, to find a new life on the West Coast, during WWII. They tended not to say very much about the people, or the life, they'd left behind, the people they had known who died, including their parents. Their exile was a form of alienation, not uncommon in this restless mobile land of the free. I've never been a church-goer, as an adult, so attending funerals isn't something I do. Sometimes I think that not marking death's occurrence in a formal way helps to keep the idea of it, its presence, at bay. However, I do think about death, and increasingly now in my mid-60's. For some reason, it surprises me to realize I have reached this stage in my life, though I always knew I was destined for it. It seems to have snuck up on me, as it does to most people, while I was just minding my business, attending to my plans and expectations for the present and future. Since I began this blog in January 2009, I've written posts about Donald Justice, John Updike, Ronald Johnson, Louis Zukofsky, MFK Fisher, Harold Pinter, Larry Eigner, Robert Creeley, Marianne Moore, Ian Hamilton Finlay, George Oppen, Joe Brainard, Ed Dorn, Philip Whalen, Louis Simpson, Robert Frost, Paul Blackburn, Patrick Schnoor, E.B. White, Max Beerbohm, H.L. Mencken, J.D. Salinger, Gertrude Stein, Wright Morris, John Wieners, William Carlos Williams, E.E. Cummings, Jack Gilbert, Matthew Arnold, Anthony Hecht, Philip Levine, Ernest Hemingway, Stewart Ogden Smith, Jon Anderson, James Wright, James Schuyler, Cyril Connolly, Kenneth Koch, Gerard Manley Hopkins, James Joyce, Charles Dickens, Truman Capote, Joe Ceravolo, Dylan Thomas, James Welch, Darrell Gray, Christopher Isherwood, Cid Corman, Walker Percy, Frank O'Hara, Ambrose Bierce, Weldon Kees, Gore Vidal, Beatrix Potter, David Goodis, and Raymond Carver. What all these names have in common is that they're all dead people. Some of them died after I wrote about them: Louis Simpson, Jack Gilbert. I wrote a handful about a few when they died. 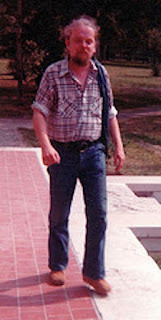 My only son died in 1996, in an automobile accident. His death was premature, certainly, but he had been an early-onset diabetic since the age of 4, so his longevity-expectation was not as remote as most. I will certainly never "get over" that tragedy; it will be with me always, along with the certain knowledge that I will not be survived by any descendants. Not that that part bothers me very much. Once in a great while, I think of my maternal great-grandmother, a woman who had been very beautiful in her youth, whom I know only through old sepia photos taken before the end of the 19th century. But I doubt she would have been much interested to know that I was coming down the road; she was very Victorian and formal and dismissive, by all accounts. Does anything of what she was survive in me? Who knows? During the years I attended the Iowa Workshop, Ted Berrigan and Anselm Hollo were great friends. When Berrigan and Alice Notley had their two sons, they named one Anselm in his honor. Anselm went on to teach at other places, and eventually joined Naropa University as a member of the permanent faculty, where he taught for the last 25 years of his life. When I first knew Anselm, he was just living in America with a "Green Card"--worried about being refused permanent residence and/or American citizenship. A fact not often cited was that Anselm had lived in Iowa City as an "exchange student" while still in high school, traveling from his native Finland in the early 1950's. Later, after periods of living in Germany, and then Britain, he came to America. He actually seemed rather British in his manner, when I knew him, though he was a complex man, of many influences. Anselm was a brilliant, and very well-educated man, but he hid his shrewdness and his erudition--at least in the time I knew him--under a veneer of almost continuous amusement and self-deprecation. 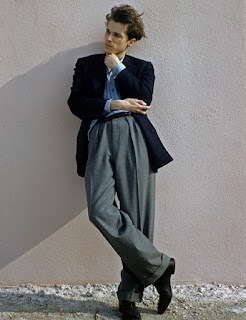 This was partly a gentlemanly courtliness, but partly a self-effacing shyness. Anselm probably thought of me as a pretty square fellow, but he was always considerate and respectful and indulgent of my immature writing. Anselm was a realist. His poems were about real things, and the voice he cultivated as a writer was his own voice, a voice that reflected how he actually thought, without pretense or equivocation. Just being around him was a demonstration of the honesty he projected as an artist. Anselm the man, though, had some difficulties maintaining the various personae of his life: teacher, husband, father, poet, friend. I suppose he managed to come to terms with his various demons in the years after I knew him. The thing about Anselm was that his mind floated over the facts and conditions of his existence with a sort of equipoise. A speaker and a reader in several languages, he seemed to perceive life (and history, and literature) in layers. This sense of being above events and somehow apart from them gave his conversation, and his work, a sense of objectivity. He maintained the air of an amused skeptic, always ready to find delight and absurdity in the baffling events of the larger world. He never seemed to take himself so seriously that he couldn't see irony or vanity in his own life. Though our paths never crossed again after I left Iowa in 1973, I remember Anselm Hollo as a felt presence in my life. He left an impression, in a way that most of the other teachers or friends I've had, didn't. An impression of kindness, gentleness, delicacy, and penetrating perspicacity. By the time I learned that he was dying, it was too late to tell him these things. But Anselm was not the fellow to accept open praise--that kind of formality was not something he seemed to wear comfortably. Nevertheless, I'm moved to tell him, though he will never hear or read these words. What we say about people we loved or admired, after they've died, is important to us, the living. It is our way of saying what we feel. It's a formal act, almost religious in its implication. Bless you, Anselm, for your words and your work. Your memory lives on. It may seem untimely to raise the issue of the advisability of expanding America's investment in nuclear power generation. Indeed, with the recent memory of the Fukushima meltdown (or has it moved far enough back into our consciousness even to qualify yet as "memory"?) fresh in mind, it might sound absurd to point out that there are serious, perfectly devoted advocates once again pressing the case of an expanded "nuclear option" to be "put back on the table" for discussion of our future energy needs. I was reminded of this recently when I happened to watch a re-telecast of a local KQED produced segment of QUEST--a science, nature and environmental television series. Given KQED's growing financial difficulties, it's been troubling to see the station capitulate to necessity, not just through actual commercial message slots (as for automobiles and petroleum corporations), as well as paid programming such as financial advice, health & fitness gurus, and even religious-oriented material, but apparently now also for private energy development. The airing of the program in question--"What's Next for Nuclear?" --initially televised on September 18, 2012--featured interviews and testimony by Per Peterson, a member of the Diablo Canyon Power Plant's Independent Safety Committee, and an instructor at UC Berkeley's Department of Nuclear Engineering. It would be hard to imagine anyone more likely to present a partisan view of the issues and concerns surrounding the need for nuclear power than Peterson, who is busily at work devising new ways to handle the problems associated with the uncontrolled heat that is generated in the reactor cores of operating plants. He's clearly invested in the future of this technology. The program was clearly intended to lend unconditional support to a resumption of commitment to more nuclear energy power generation (to the licensing of more American nuclear plants); and to "soften" the objections of a public increasingly suspicious of reassurances from energy corporations about the safety of such plants in the future. As anyone who has studied the science knows, nuclear power generation presents several intractable problems. Radioactive substances require extremely careful handling, and the processes by which they produce the fission heat that generates power are very dangerous. Radioactive material is expensive to mine, expensive to transport, expensive to store, and expensive to handle. 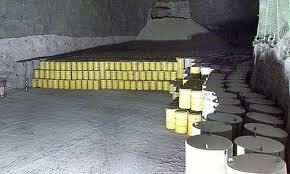 Once the radioactive fuel rods are "spent," they have to be stored. 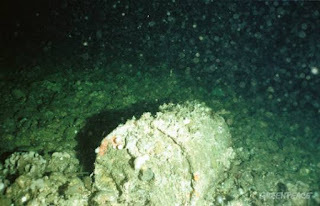 Since their radioactive "life"--as dangerously poisonous contamination--takes hundreds of years to "decay," they impose an incredible burden upon society in the future, to maintain whatever kinds of safekeeping may be employed to keep them away from humans (not to speak of other living things). Though our science has progressed to the point that we can successfully generate some power through the use of radioactive fuel rods, the plants themselves do not last very long, and are very expensive to design and build. Further, plans for deposition of the growing pile of nuclear waste generated from existing plants have not materialized; and this burgeoning load of radioactive waste is not being effectively addressed by state and federal agencies established to deal with the problem. The plain fact is that there is no practical, safe way to "dispose" of it, and the government, and the power companies know this. Even the public knows it. Proponents of nuclear power generation point to the problems associated with tradition carbon generation, which include global warming, and the considerable health affects tied to air, water and ground contamination. The effects of carbon waste are well-documented. As the world's use of carbon burning ramps up, so do its effects. What seems clear is that our growing global hunger for more energy is quickly outstripping our ability to supply it, at least in ways that are not so "dirty" or dangerous that the problems associated with their use do not outweigh the advantages. Global warming has finally provided the overwhelming argument against the mindless expansion of carbon burning (coal, gas, wood etc.). Indeed, the underlying realization finally seems to have awakened us to the undeniable fact that humankind is quickly reaching the limits of its ability to "use up" available sources of energy in a "cost effective" way, particularly when the problems associated with that exploitation are factored into the equation. Given KQED's "public interest" mandate, and the American public's overwhelming resistance to more nuclear plants--which is well-documented--it struck me as incredible, and indeed intolerable, that a program, produced for public television, purporting to present a balanced view of developments in the "science" of nuclear power engineering, should take such an unequivocally positive view. The presentation included allusions to the health and safety issues associated with the Chernobyl Plant in the Soviet Union, and briefly mentioned the recent disaster at Fukushima, but it passed over these as if they were minor matters. "The public health and environmental consequences of using fossil fuels are so enormous that they dwarf even the consequences of nuclear accidents," said Per Peterson. "That said, we need to be moving towards new nuclear energy technologies that do not have the potential to release radiocative materials into the environment." 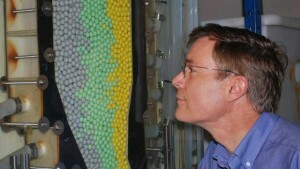 Waiving aside Chernobyl and Fukushima (and Three Mile Island), Peterson smiled with conviction into the camera as he demonstrated his big plastic toy model of a reactor, showing little colored balls circulating around a network of tubes, like a little Pachinko arcade game. I felt as if I were being treated to a replay of my childhood program Science in Action. Shades of the optimistic 1950's! Didn't we all have our little science kits, erector sets, chemistry labs and old issues of Popular Science? Better living through chemistry! 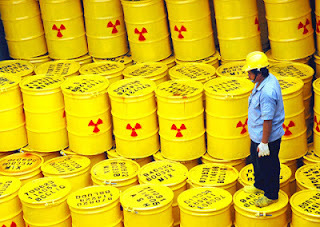 The general public has known for some time that nuclear power generation--a technology which is yet in its infancy--is an impractical alternative to other kinds of power generation, both because of the considerable costs and risks of building and running nuclear power plants, and because we don't yet have the science to deal with the growing pile of poisonous wastes they produce. The primary problem facing humanity is its uncontrolled growth, which is the primary driver of environmental exploitation. Accepting that growth as inevitable creates intolerable requirements which our present science and resources will be unable to fulfill. Accepting that the needs for food, energy, space and occupation are limited is the first step in addressing the question of Global Warming. Those who refuse to address the root cause of the over-exploitation and unwise use of resource, are offering only short-term, and ineffective solutions. We know now that Global Warming is inevitable, that it is just a matter of time before its effects will be felt around the globe. And we know that there is nothing that can be done to avert it, because the growing population of the earth insures that the overwhelming needs associated with that uncontrolled population will overcome any pathetic resistance to exploitation. As the world population grows, our technology will advance to service it, whatever the consequences. Science has solved many of mankind's problems, and it may well be that the science of nuclear power may proceed to the extent that its present problems may eventually be fixed, in a century or two. But the pressures of demand are much greater than any prudent cautions that are raised against hurrying forward before we're ready. In capitalistic terms, the motivation to exploit the market for energy consumption is probably ten times greater than our apprehensions about the probable costs of Global Warming. Yet why should our present society (and environment) be endangered (and heavily contaminated), while scientists scramble to catch up? It is often said that need drives discovery, that the best crucible for experiment is live testing. That's one of the ways science proceeds, through the testing of a premise, with progressively expanded sampling, to achieve levels of confirmation and probability. But with nuclear power, simply building more power plants, before we know for certain how to design them to be completely safe, and before we've figured out how to deal with the huge pile of radioactive waste, means subjecting humanity (and the environment) to intolerable risks. It means using human society--and the whole environment--as a kind of guinea-pig. Those risks have been examined and considered at some length already, and people in this country seem unwilling to proceed, given the enormity of the problems we see in the nuclear "accidents" around the world. We've tended to think of the degree of energy usage as a measure of the progress and sophistication of a society. 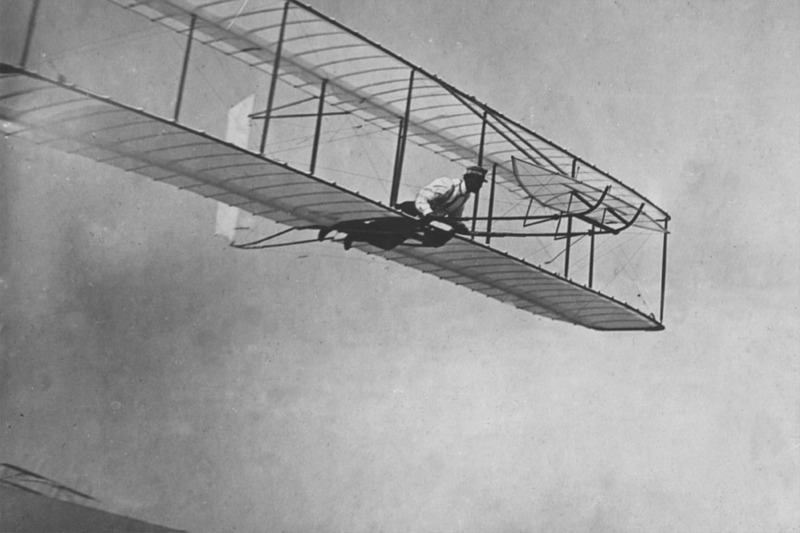 Indeed, the whole idea of "progress" seems based on an Industrial Age model in which more technology, more mechanization, more automation, and more energy consumption are seen as forms of advancement. But the rapid rise of this kind of "progress" has brought with it vastly expanded "markets" for exploitation, which we seem powerless to control or channel. President Obama has even announced that his official policy is to encourage the licensing of more nuclear power plants around the country. But if I have anything to say about it, I will vote against permitting any nuclear power plants, or nuclear waste dumps, to be located within 500 miles of my residence, which I consider to be a minimum "safe distance" from the risks of accident. I regard that as merely prudent. If everyone took that position, what could the proponents of new nuclear facilities say? Where on God's earth could we put these very dangerous contraptions? Who will be willing to risk contamination? One thing we know from geology is that the earth is not a stable surface. The earth's crust is a shifting, wrinkling jelly, permeated with escape valves for the hot molten interior which is just beneath the thin surface. No one can say for sure that any place on the planet is stable enough to accept the burden of a material as long-lived and insidious as hot nuclear waste. Until we have the technology to address the problem of how to eliminate the waste it creates, nuclear power should be shelved--at least for the time being. How long might it take for the science to "catch up" with our desire to exploit nuclear energy? I have no idea, but I don't have much faith in humanity. More plants will be built, and there will be more accidents. But the real problems will come later, when the dump sites begin to age, and the terrible messes they create will start happening. I'm glad I won't live to see it. As long as there are people stupid enough, or gullible enough--or who are being paid enough--to front for the utility companies, there will be programs like What's Next for Nuclear? The producers, and the programming division of KQED should be ashamed. Is there anyone with a conscience there anymore? I came to an appreciation of Raymond Carver's work late in his career (and life). Born in 1938, growing up in a lower middle (working-) class family in the Pacific Northwest, Carver struggled during the first decade and a half of his adult life with addiction, depression, marital and financial problems, and the obscurity of being unknown and unappreciated as a writer. But through his work, he overcame all these obstacles to become one of the best-known and loved writers of his generation; finally dying at the too early age of 50, from cancer. The one impression Carver's stories and poems leave me with is its improbability. Here is a man whose work--in subject and method--is both unassuming and modest. It is almost totally without pretense in the literary sense, but as anyone knows, the least degree of apparent artificiality is often the result of the greatest art, or artifice. To appear to be unpretentious often requires considerable effort. Carver's stories are often about the smallest event or detail. People move through a typical short space of time and condition, and suddenly an unexpected revelation unfolds, as if by magic. Like Chekhov, Carver is full of suprises. But it isn't Carver's stories I want to talk about here. It's his poems. 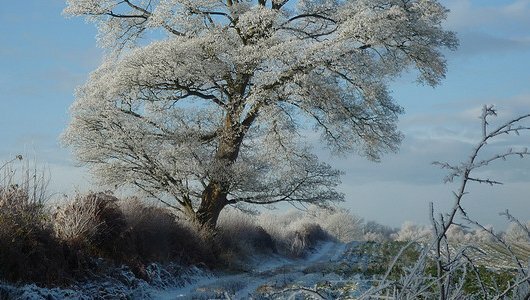 Carver's poems are so much like his stories, in the way they work--so much so, that it hardly suffices to describe the formal "techniques" of his verse. Indeed, he hardly seems to have a formal syntactical or grammatical poetics at all. The poems are really just very very short stories, usually small autobiographical events that inspire a thought or moral observation. One of my favorite Carver poems is The Net, from his last (posthumous) collection A New Path to the Waterfall . with his teeth, and bites hard. I go past without a word. Like most Carver poems, it's an observed event, not particularly important in itself, but augmented by a subtle conceptual frame that permits us to perceive its meaning or significance from an unsuspected angle. It isn't "difficult" or interposed with complex verbal prestidigitation. The poem seems to have no "showing off" or vanity of display. It wants to tell you something in the most straightforward manner possible. It will work, if as a reader you have no sense of selection or strategic manipulation, if you aren't moved to question how it proceeds. 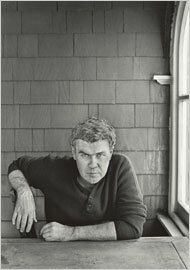 It could simply be this guy Raymond Carver talking to you over coffee, or during a walk across town. It's that absence of caution, the dropping of one's guard which is almost a condition of the appreciation which leads one to accept the terms of a Carver poem or story. Sometimes the subtlest apprehensions we derive from experience require a release--that suspension of disbelief--which characterizes our response to the greatest dramatic portrayals in all art. In the quotidian world in which most people live, that suspension involves our faith in the possibility of discovery or revelation in the meanest of circumstances--that we can find redemption or joy or confirming recognition in the most ordinary situations. Though it is true that the kings and queens and heroes and heroines of dramatic art suffer the same slings and arrows everyone is susceptible to, one of the great changes that has occurred over the last two centuries (in literature and drama) has been the portrayal of human feeling and example in people of any station of life or society. Carver's people are ordinary. They are unremarkable. They're not rich, or especially talented or destined for greatness. They don't suffer great tragic events. In his poems, though, it's usually Carver himself who is the human presence, and that presence has a certain dependable quality. His voice, the voice of his poems, is relaxed, but interested, paying attention to small details, recording, noting. As in a casual notebook. What happened today. What did the mailman do? Were the clouds blue, or grey, or silver? It almost hardly seems to matter, since in every event there are the seeds of some small secret waiting to be revealed. Maybe not even a small secret, perhaps a big one. We must be open to experience, we have to be prepared to be led, drawn in, seduced, rewarded, even betrayed by our credulity. Even our credulity may hurt us. You can talk about poetic strategies in terms of the naturalness or ease of their manner, but I suspect that there's a poetic cunning involved in the kind of poetry Carver writes. You can never guess what a Carver poem is going to say, what its message will be. And yet you know there always will be one, which you didn't expect. That's what I mean by cunning, that it's bound to surprise you. They don't always work, these Carver poems, because what he's attempting is extraordinarily difficult. If you don't believe it, try writing one in imitation. Artlessness, successful manipulation, is almost impossible, and sometimes you get to the end and feel let down. The net is a very traditional poetic trope. What's caught in the fisherman's net? We accept the narrative of the poet walking down along the docks, where fishermen are found tinkering with their equipment. Telling detail is a cliché of poetic technique, so we have a one-armed fisherman sitting in a picturesquely rotting old boat, mending a net. Using his teeth to tie a knot or sever a splice. The poet's lack of focus--"reduced to confusion . . . the importunities of [his] heart"--is vague, his mind is clouded by distraction, considerations outside the poem. All we need to know is that he's not initially clear about what life, or this segment of his experience, is supposed to mean. It's casual, accidental, opportunistic. The poet is fishing for experience, fishing for a meaning, he's casting his net about to see what might turn up. The sea is like our unconscious life, or like the chaotic mass of experience, out of which we may catch or dredge up something unsuspected, strange. But he keeps walking. Nothing but the detail of a single one-armed man tying knots in a net. But then he turns back, looks at the scene from a distance. Sees the man within the larger context of the docks, the shore, the sky, the town expanding away from the water's edge, the bay, and everything suddenly resolves into a relaxed acknowledgment: the man with the net is inside the larger net of everything. The net of our sustenance, our daily needs, our life-work, the industry of human getting and spending, of going down to the sea in ships, of the society of men and women, and finally the web of matter and energy and enormous complexity of which we're all a part. Each caught in the web of matter and meaning and motion. Caught in our fates. In the moment. Stuck with what we have, with the accidents and choices and conditions which govern our fate(s). Note: Based on our experience here over the last four+ years, we've decided to discourage further Anonymous comments. So seldom do people fronting as "anonymous" have anything useful to say, that it hardly serves any purpose to tolerate them. Therefore, from this date forward, if you don't post with your internet identity, we won't publish ("moderate") your comment through. I've said previously that we thought not allowing all comments was undemocratic and not in the spirit of debate; but the obscene and commercial and just plain nasty comments have outnumbered the civilized ones at least 29 out of 30, so we're closing commentary to them. 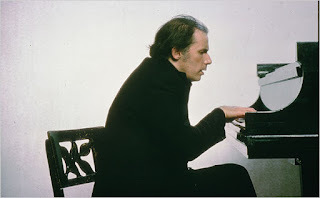 I've written about Glenn Gould [1932-1982] before, and I guess it's likely I may again in the future. 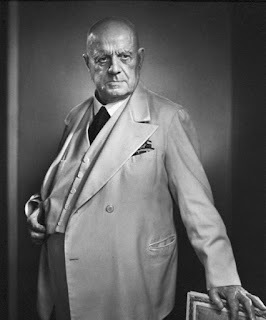 Today, amidst our seasonal cold snap, I was reminded of his lyrical recorded interpretations of the sublime Sibelius Sonatinas, whose character is so evocative of the Nordic moods of his native Finland. Gould, of course, was Canadian, and his own personality was formed in part by the northern aspect, which comes right through in his versions of these austerely beautiful pieces. They're rather like Grieg, in their good cheer, but more reflective and dour. Though I grew up in California, I spent three years in Iowa in the early 70's, and a year in Northern Japan in the 1980's, so I know well the effect of very cold, snowy conditions. People who live most of their lives in "hard winter" country often retire to tropical or desert regions, as has been traditional in America (to Florida and Arizona or New Mexico). I always think the Protestant taciturnity and gravity derives in part from the Northern European and Scandinavian climate where it originates. These pieces might be like sober meditations during a silent winter night close to the Arctic Circle. Very cold places always make me think about the emptiness and silence of the universe. Listening to these pieces, I imagine Sibelius sitting at his piano in a large room with long planked flooring, with cool northern overcast light--snow light. It is quiet, and "empty." There's a foursquare sensibleness and practicality. Things are in their place. It's a time for reflection. He plays a few notes, tries out a figure, then stops, thinks, broods. A sip of tea. A single bird chirps. Then it's quiet again. The room is itself like (an extension of) the piano, and the resonance is something you can feel under your seat. The notes are like the tuning of the house in the crispness of winter. One dreams of Spring, of women dancing on a Summer night. But that seems faraway now. 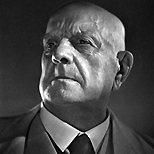 Sibelius isn't a difficult composer. What makes his work interesting is the pacing and alternation of moods, qualities I see in a somewhat less subtle form in Bruckner's symphonies. It's dramatic writing, but of a solitary cast. It's moody. I was reading recently on another blog about a poet's frustration with the use of "abstraction" in modern and post-modern art, as he argued that all "abstraction" was in effect a kind of obfuscation or diversion from the useful relationship between medium and representation--that non-syntactic writing, for instance, was devoid of useful or definite meaning, or that abstract painting didn't tell one anything about "reality" since it "represented" nothing real, except the physical fact of its materiality. In a way, I don't disagree with this on a purely factual basis. All abstract art is subjective and suasive (or argumentative). Abstract writing or art can mean what we want it to mean, or what we say it means, or can mean. Abstract art has conquered our culture. Almost no one seriously questions the value of the Abstract Expressionists, for instance; their work has entered the accepted canon of Western cultural history. Jackson Pollock [1912-1956] will now forever be compared and contrasted to Winslow Homer, and Raphael, and Neal Welliver. 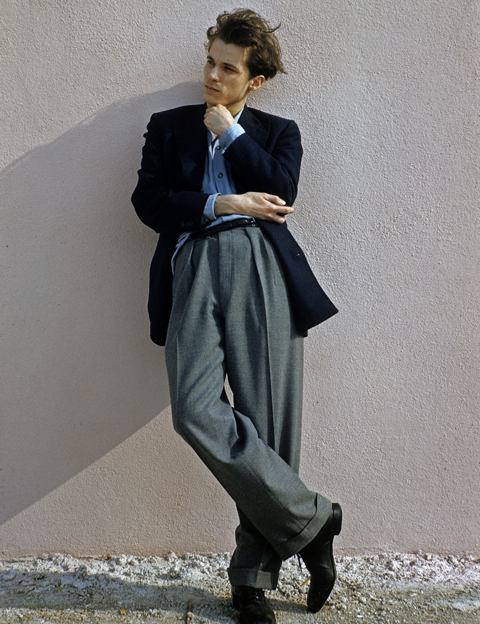 This is because he was recognized, and commended, and welcomed into the official art culture. Experimental writing hasn't fared as well. Stein and Pound and Ashbery and Mac Low aren't considered to be necessary parts of the literary culture, in the same way that Pollock and de Kooning and Sam Francis and Robert Motherwell and Mark Rothko and Philip Guston are. If they were, their original printed works would be "priceless"--worth many times what they presently command on the rare book market. The big blockbuster names on the list of collectible modern authors--Fitzgerald's Gatsby, Hemingway's The Sun Also Rises, Hammett's The Maltese Falcon, Eliot's Waste Land, to name a handful--are far and away more in demand than the rival "abstract" literary masters. There seems to be some "resistance" in the culture to abstraction in language, that has been erased or at least made more translucent, for artistic artifacts. I think this is partly due to the fact that we're "closer" to language than we are to art. Few people have as intimate a mental attachment to artificial visual stimuli, for instance, as they do to language. Language is an intimate mental function, and what we're read (or read to ourselves) as children has a much more dominating influence on our way of thinking about it, than we do about painting. In other words, if you've never sampled the abstract writing of Gertrude Stein, and come to it for the first time as a young adult, you will probably resist it. 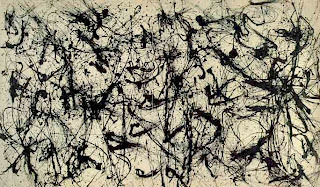 On the other hand, if you see Jackson Pollock's Number 32 for the first time, after having seen mostly representational art in your life, you may be delighted by its implications. This may be because you don't know "how it's done" and so have a discrete separation from the logic of its production--there's a potential "respectful distance" between yourself and the pretension of its presence. And since we think we know about how writing is "done"--the putting together of words and phrases into recognized, accepted syntactic called sentences--we may tend to discredit language which "breaks the rules" we've come to be taught--if only by example--make it "correct." Or maybe we just don't think of language as "art" in the same way we think the plastic arts are "artistic." We aren't willing to accept abstraction in language to the same degree that we accept it in "art." I'm speaking generically here--as the voice of the man on the street. I was seduced into abstraction in language long before I came to be very familiar with American Abstract Expressionism. Not that I hadn't seen the paintings, but I had read literary works which challenged my sense of meaning and structure--Joyce's Ulysses, Eliot's The Waste Land, Cummings's poems--before I ever thought seriously about the meaning of a work like Pollock's Blue Poles. Which is partly explained by the inherent "passivity" of "looking at" or regarding art. When you read language, you are running a kind of projector in your mind--reading is a process and a task. But when you stand in a gallery and "look at" a work on the wall, you aren't "doing anything"--you're just apart from it: It's there and you're here, and you're not following the artist's brush strokes or his movements or the fine feathery detail-work involved in its making. 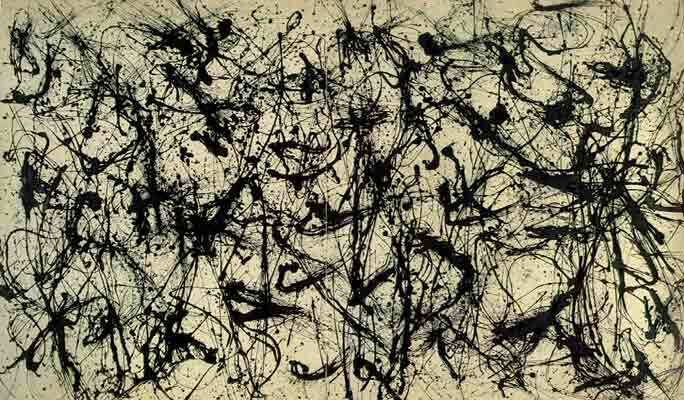 Except that, with Pollock, the making of it literally seems to be a part of our apprehension of the work itself. A work like Number 32 functions as the literal evidence of the physical act of its making, in a way that most representational art doesn't. That record seems to be a primary part of its meaning, of its purpose. When you see the black streaks and blotches and splashes of black paint, you can see them as the result of the throwing or dripping or smearing action of the painter as he put them on the canvas. There's no particular reason why this should be important to the value of a work of art, except perhaps as a demonstration of its vigorous energetic presence. It's busy, it's frenetic, it's confused, it's liberated, it has a quality of wild intensity--none of which has any inherent value except that which we give to it, through our response and judgment. We can call it art, for want of a better description. And yet most people, people who would recognize a Pollock canvas as a certifiably acceptable "work of art" would almost certainly reject a piece by Gertrude Stein as belonging in the same canon of value and meaning as Henry James novel, or a poem by Robert Frost--even though Pollock doesn't "follow the rules" of representation, in much the same way that Stein doesn't "follow the rules" of syntax and grammar and narrative sequence. The more we know about artists who seriously pursue abstraction, the more we realize how carefully they have thought about what they do. Stein wrote probably as much about "how" she wrote as any modern writer, though a lot of her self-critical meditation (or moderation) exists within the "creative" works themselves, rather than as "external" critical expository prose. A contemporary abstract literary document has to overcome the same hurdles that Stein did, say, when she published Tender Buttons in 1914. There is nearly as much resistance to a work of prose or poetry that isn't "narrational" and grammatically correct today, as there was then. And yet the general public may visit an exhibition of contemporary abstract art this weekend, and be no more challenged by the meaningless smears of color on a canvas stretcher, than they would about graffiti on a factory wall. Literature has failed, in other words, to convince the reading public of the value of verbal abstraction as a worthy enterprise. And that resistance--if indeed that process can be described as a campaign or a calling or a purpose--seems as frustratingly stubborn to alteration today, as it did 50 or 75 years ago. It's probably the consequence of the critical community never really "buying" the idea of abstract language, to the degree that it did abstraction in art. Abstract Expressionism "won over" its audience 50 years ago, and never looked back. But abstraction in language still exists apart from its potential public(s), rejected, ignored, spurned. Is it because the works themselves have not been as strong and convincing--as undeniable--as they needed to be? Or is it simply that we're not "allowed" to like them, having been told by a disapproving critical garde that literary abstraction is unworthy of our attention? Are the sort of critical battles that were fought in the 1950's over Abstract Expressionism, to be waged or joined at some point in the future over the value of abstraction in literary works? Are we so intimately involved in language that we may never be able sufficiently to objectify a work of abstract literary composition to the same degree that we can of a painting or a sculpture or a photograph? Is the work of Jackson Mac Low or Clark Coolidge or Ron Silliman awaiting the triumph of acceptance that once elevated the Abstract Expressionists to fame and fortune? Or will they be confined to the outer orbits of the literary solar system, cold and remote and under-appreciated and critically impoverished?